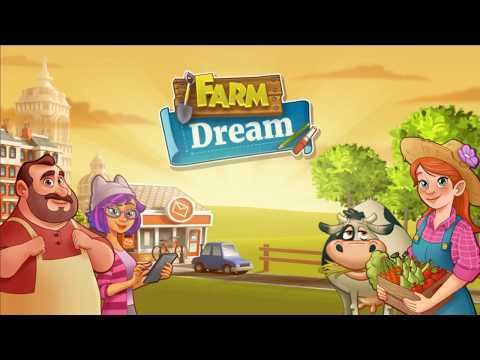 Farm Dream is a unique blend of culture and building a village. Harvest crops on farms, milk cows, shave sheep and sell your produce to grow your city. Get in touch with other farmers around the world to sell your crops, eggs, fresh milk, wool, and other products from your seaside trading port. + Various crops to grow and harvest on your farms: tomatoes, potatoes, oranges, raisins, lemons, apples, nuts, hay and more.